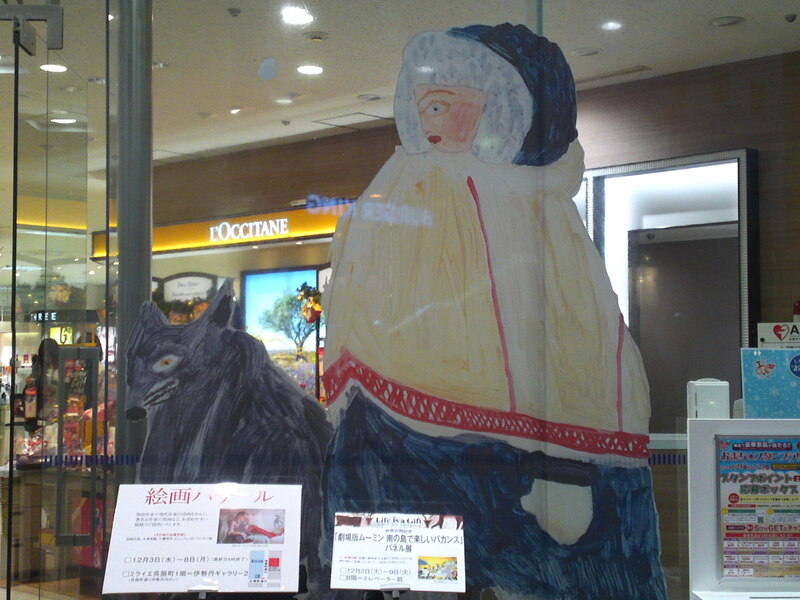 Big Bad Wolf chasing Little Red Hood: Isetan Department Store Christmas Decoration in Shizuoka City! 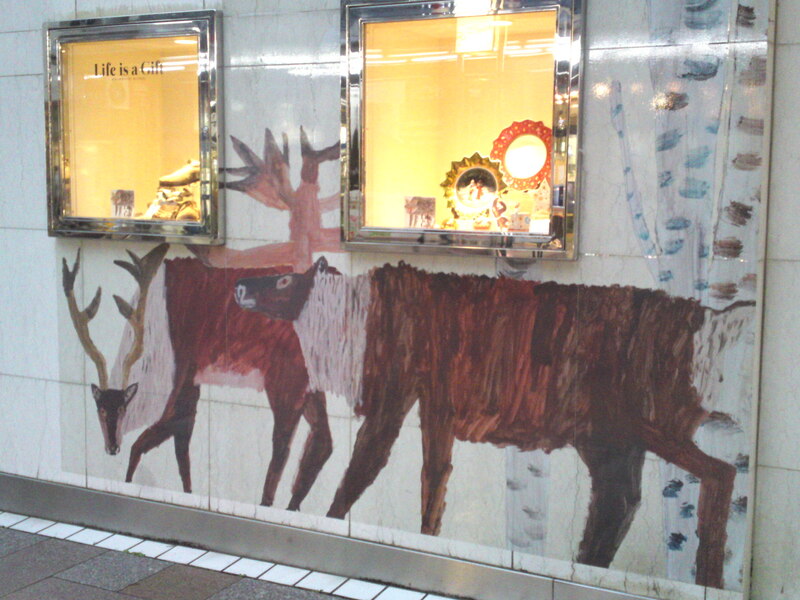 Isetan Department Store for once has made a big effort to decorate its premises for the coming Christmas hanks to a great artist Finland whose works you can also admire on the windows of Isetan Department Store in Shinjuku, Tokyo! 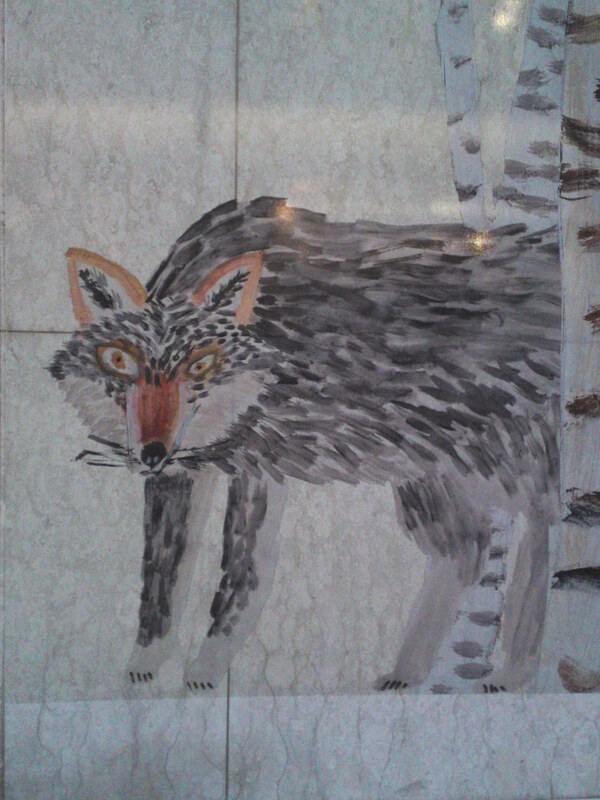 Don’t trust that wolf around a corner of the store! Little Red Hood hiding behind a pillar? They seem on friendly terms, Though! 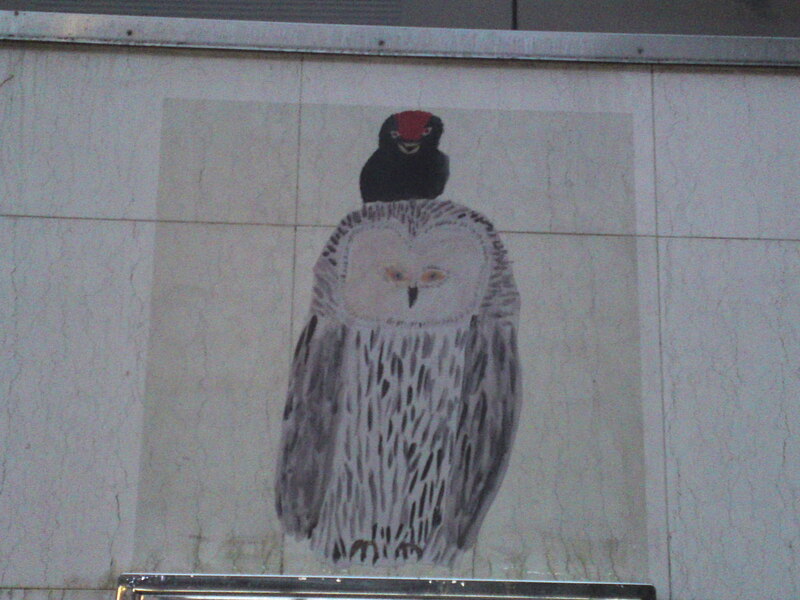 Owl and friend surveying the scene outside! 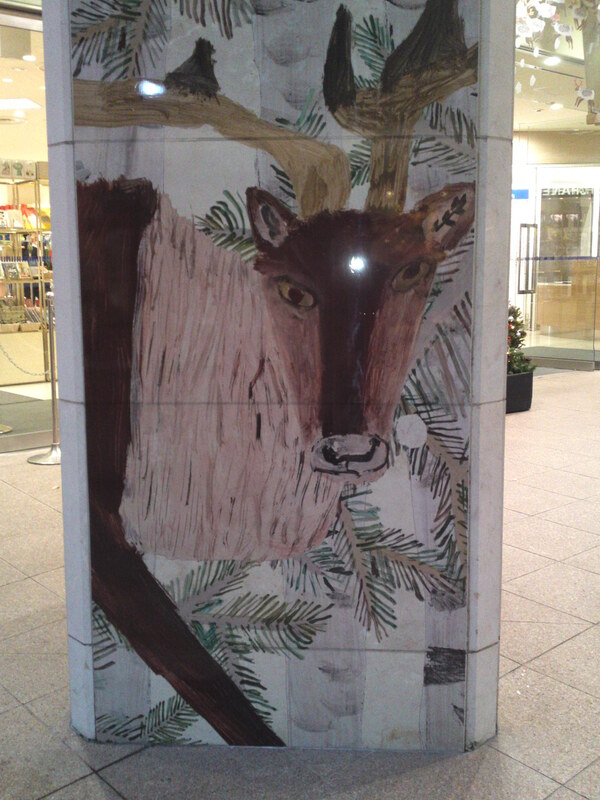 More reindeer waiting to join the fun! 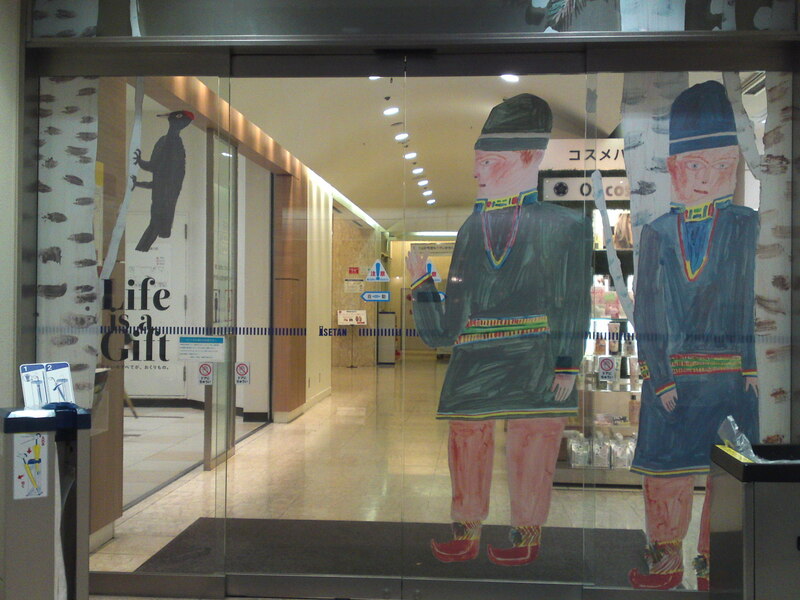 Lapp hunters guarding the entrance! 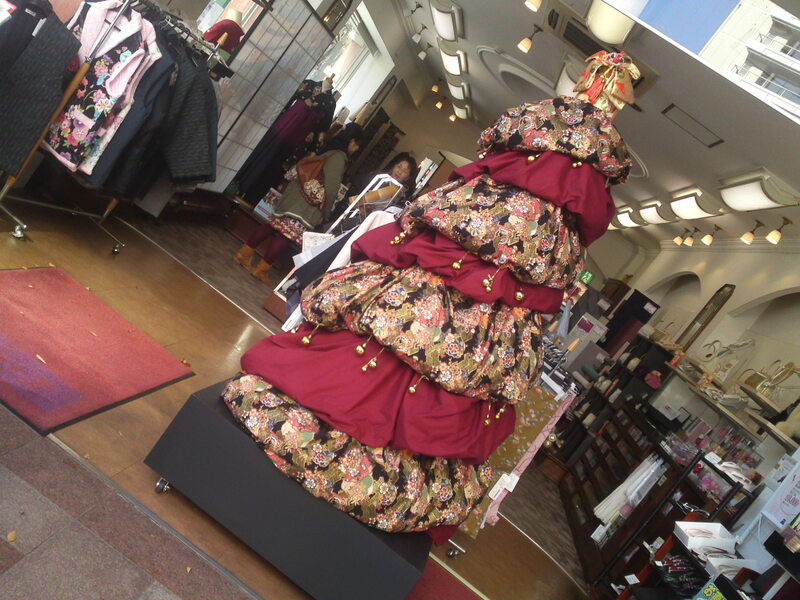 Kimono Christmas Tree in Shizuoka City! 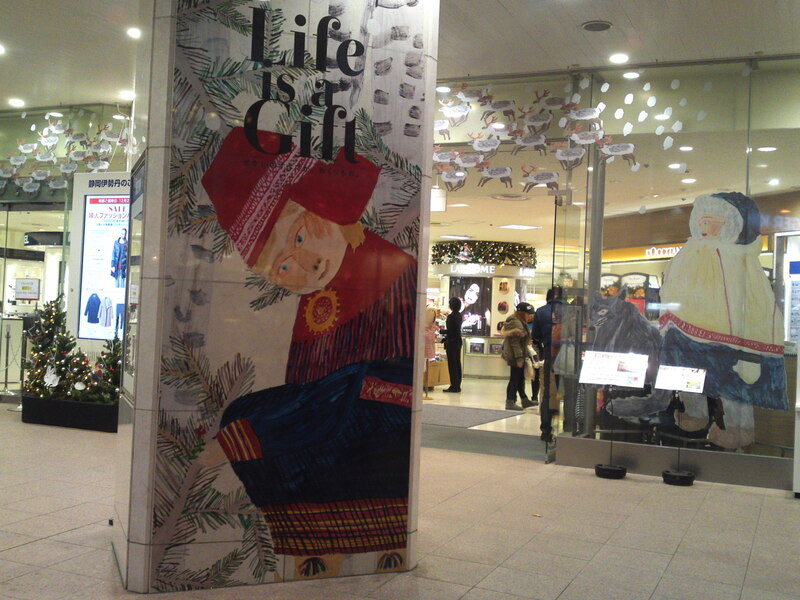 Christmas is coming soon and shops in Japan are using the event to attract more customers! 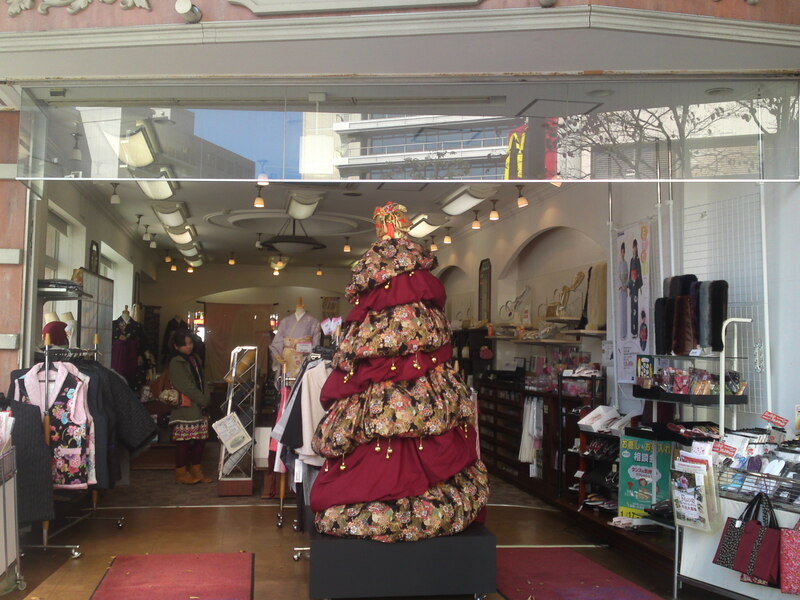 Discovered it i a shop at the corner of Aoba Koen Street and Gofuku=cho Street in Aoi Ku, Shizuoka City today! 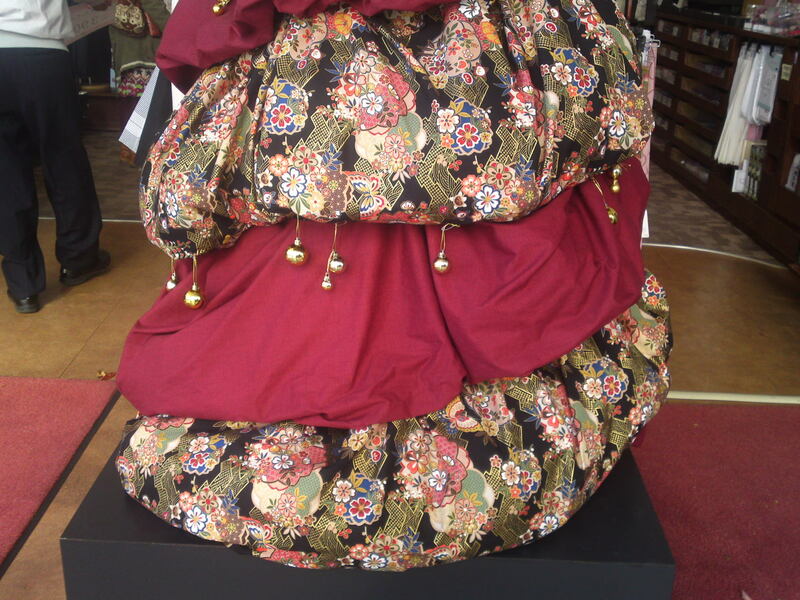 i must admit it is strikingly ingenuous!